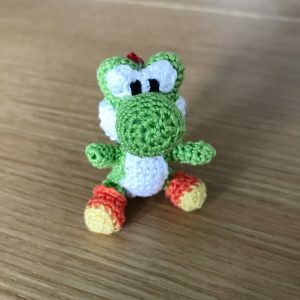 In the newly released Mario Party, Yoshi is the most picked character at my home. 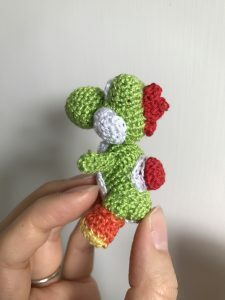 My man loves it sooo much and so, I am going to crochet Yoshi out for him~! 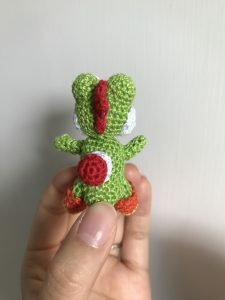 It is made based on the free pattern posted on Ami Amour website with a slightly adjustment of mine. 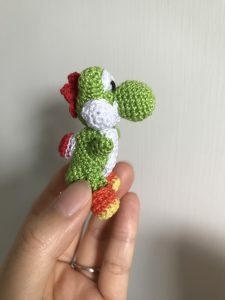 I used lace yarn with Clover 2/0 crochet hook. 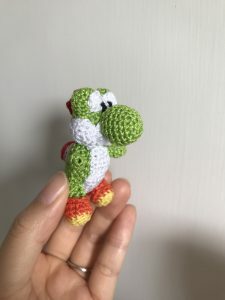 The finished amigurumi is about 5cm tall. 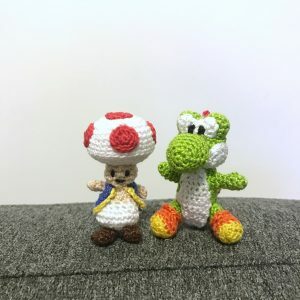 If you search online, you may come across with different free patterns available. I studied most of them and I will share with you which one is the best to me, and of course, it is also the one I followed. 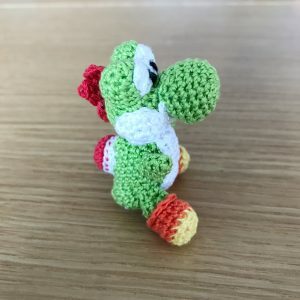 So let me share out the original pattern of the amigurumi yoshi here. 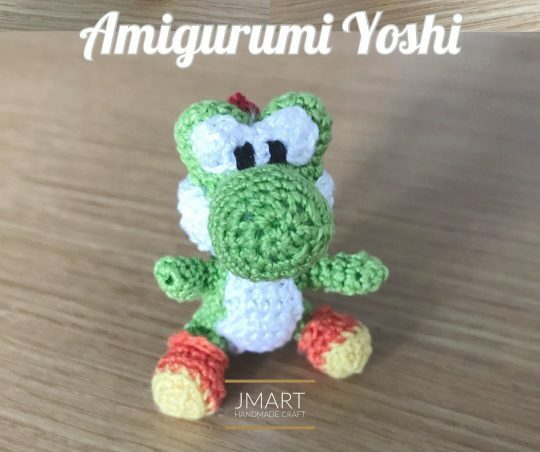 Hope you enjoy my post and have fun in amigurumi!